Home » Blog » blog » Is Your Roof Winter-Ready? That sound of winter gives me goose bumps and make me want to snuggle under a big bulk of cozy blankets. Don’t you just love winter? That’s how we feel in October and November…everyone in Ottawa feels differently in the middle of February during the fifth consecutive -30°C day. Like it or not, it is always best to prepare for winter beforehand and along with the gloves and jackets, make sure your house is ready too. Protecting your roof against the rough weather conditions can give you some relief in the tough days to come. If you enjoy winter, then it will only make your house warm and cozy. There are certain measures you can take to ensure a peaceful winter. Leaves, branches and other fall debris can collect in your gutters and block your downspouts. You might think it’s not a big deal, but this is a very important fall maintenance task. Otherwise, rainwater and snow will have nowhere to safely drain, and it can collect around your foundation. If you have even one tiny crack, it could lead to a basement leak. Call in the pros to clean out your gutters and make sure the entire system is working right so your home is safe this winter and you’re all set for the spring thaw. 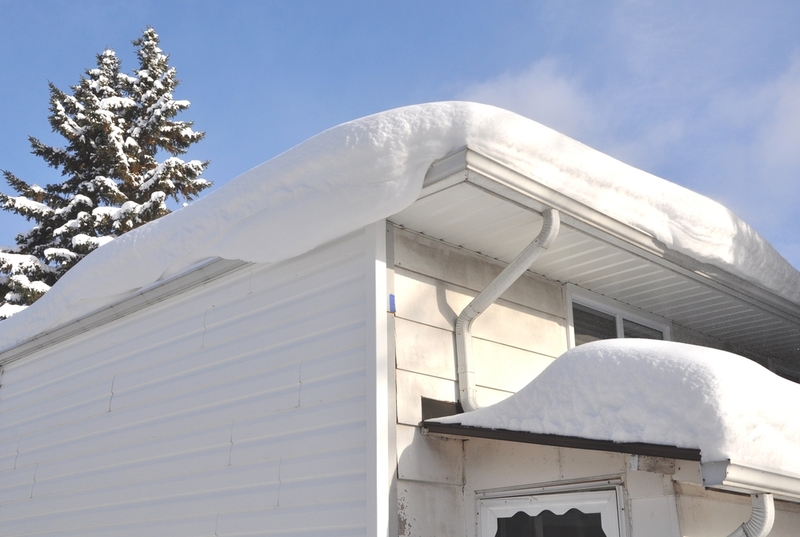 Make sure the gutter system is clear because even though it’s expected to be a warmer winter than usual in Ottawa, we’ll still get a lot of snow. A clear drainage system rainwater and melted snow will be directly safely away from your property instead of pooling on the roof or around the foundation. We all know standing water is bad news. It is always a wise idea to have a professional come over and inspect your roof. The pros at Roofmaster can perform a thorough inspection to check for leaks, missing or damaged shingles, and other problem spots. We’ll fix everything up quickly so you’re set for winter. Make sure the roof is properly insulated. Insulation ensures warm air from the heating system will stay in the house and minimizes its escape. Proper insulation ensures that you can run your heating system less often and at a lower temperature, saving you lots of money. So make sure you get it checked and install proper insulation to get you through the winters without freezing. While you are at it, make sure you check the heaters work fine. In fact, it is advisable to do a few trial runs before it gets too cold. Make your home your sanctuary and you will need no escape from it. Here at Roofmaster, we want you to have a warm and happy winter. Give us a call for all your roofing needs in Ottawa and the surrounding area!